It’s taken months to pull together a vote to save net neutrality from the FCC guillotine, but the moment is finally upon us. Senate Democrats announced today that they’ll force a vote to keep net neutrality protections in place on Wednesday, May 16. Support in the chamber is just one vote shy of passing the resolution, but Democrats see a win no matter what the outcome. Last December, the Republican-led Federal Communications Commission voted to repeal Title II protections that preserve the open web, and the situation has been confusing ever since. 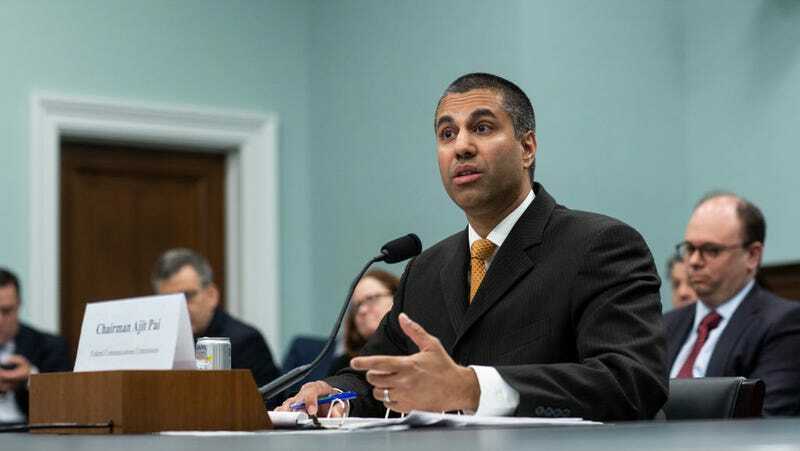 FCC Chairman Ajit Pai delayed the finalization of the repeal causing activists to speculate that he hoped lawmakers would pass a weaker version of net neutrality that was approved by telecom lobbyists. Then the repeal was published in the Federal Register, prompting some to declare net neutrality dead when there were still more procedural hurdles to clear. But last week, the FCC finally announced that the official net neutrality death day would come on June 11. Senate Democrats have been rallying around an effort to maintain the Title II protections through the Congressional Review Act, which Congress can use to overturn federal regulations with a simple-majority vote. At this point, 49 Democrats and Republican Senator Susan Collins have jumped on board—meaning that if all senators are present for the vote, just one more Republican will need to flip. Hopes are low that the resolution would make it through the House, where Republicans have a larger majority. But Democrats hope to make this a broader election issue that begins with forcing lawmakers to go on record with their net neutrality position. “You are either for a free and open internet or you are not,” Senator Brian Schatz, a Democrat, wrote in a statement. Americans have consistently told pollsters that they support net neutrality, with one recent survey finding that 86 percent of respondents prefer all web traffic to be treated equally. “The repeal of net neutrality is not only a blow to the average consumer, but it is a blow to public schools, rural Americans, communities of color and small businesses,” Senate Democratic Leader Chuck Schumer wrote in a statement. Schumer’s remarks show how wide a net Democrats may cast when framing net neutrality around other issues ahead of the November midterms. State and local governments are still conducting their own challenges to the net neutrality repeal and we’re still likely to see court battles drag out the process, no matter what the outcome of the Senate vote. In the meantime, activists are urging the public to contact their representatives to push for that one crucial vote on Wednesday. Correction: The number of Americans who said they support net neutrality is 86 percent, not 82 percent, as previously stated. We regret the error.